All D-Star radios have the ability to reply to a Gateway caller by use of a one touch reply button. 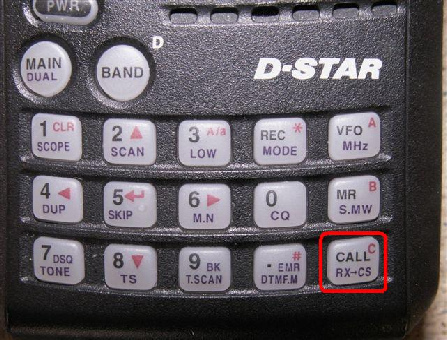 You must depress and hold down the one touch reply button on your D-Star radio until the callers callsign appears on the radio display then release the button. Once the callers callsign is displayed you have programmed your radio to a temporary memory with all needed gateway parameters and can reply to the gateway caller. OPERATOR NOTE: Upon completion of the Gateway QSO depress the button again to clear the temporary memory or better yet, turn the channel selector to the next channel then back to the channel that you just completed the gateway QSO on. Clearing the temporary memory is important as it clears the temporary gateway programming in the radio and it prevents unintentional one sided (your radio) local QSO from radio going out over the gateway to the last gateway repeater that you were connected to.